Fans of La-Mulana rejoice: Indie dev team NIGORO has a sequel in the works and is currently running a Kickstarter campaign to fund its development! The game’s Kickstarter campaign has just 11 days left and has raised nearly 90% of its funding goal in pledges, so if you would like to see a sequel to La-Mulana, head on over to the campaign page and help them leap past their goal. 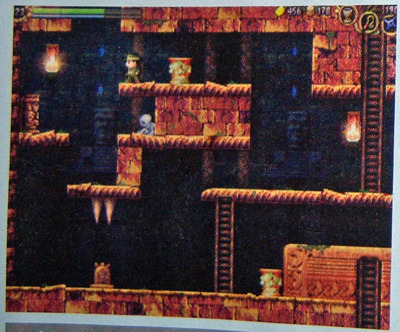 Retro-inspired platformer and puzzler La-Mulana will be returning to its PC roots next week. Priced at $15 USD, the PC version of this remake will include the Hell Temple and Attack Mode features that were made available as DLC on the WiiWare version, as well as support easy modification of the game. La-Mulana will be available at the launch of Playism’s new English site on July 13, 2012. 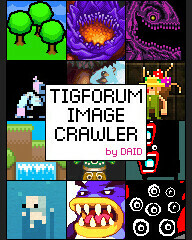 The original game can still be downloaded for free however, so be sure to check it out in the meantime! Did it just get awesome in here? 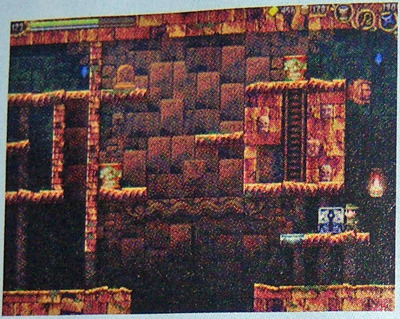 La Mulana coming to WiiWare? 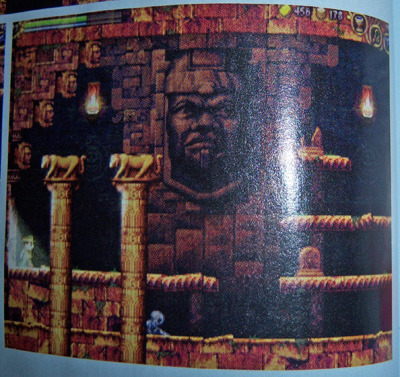 Apparently this month’s Nintendo Power has a preview of La Mulana amongst its WiiWare pages. 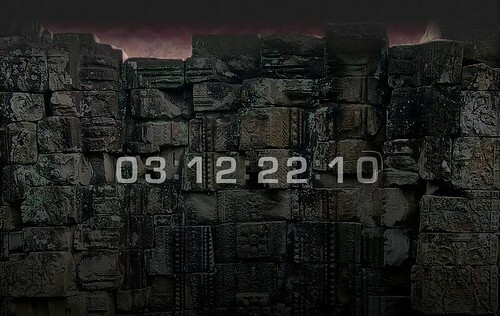 On top of this a new section on the Nigoro site appeared showing this countdown clock. I do so hate countdown clocks. However I’m sure a WiiWare port with some less alienating graphics wouldn’t be a bad idea, and this is only the start of the waiting the prospective purchasers will have to endure so we may as well start now. Of course, you’ve already played the original game anyway. Right? La Mulana is a sprawling sidescrolling adventure which can be both brutally difficult, yet immensely satisfying. Tons of puzzles and traps abound, along with all sorts of goodies. It’s rather difficult at the start, but it gets a bit easier when you get some health upgrades and the Grail so you can teleport out in a sticky situation, and teleport back, once you’ve read certain tablets. 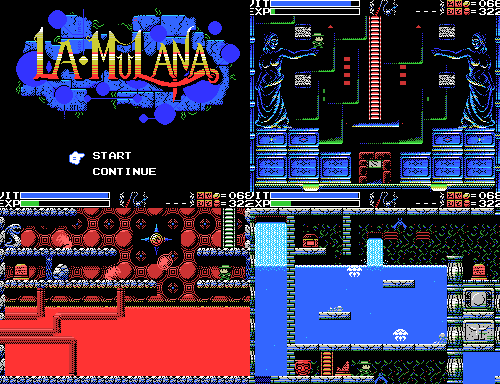 Refer to the first three La-Mulana LPs for instructions on getting the Grail. The graphics were done completely retro, in the style of an MSX game. And one of your most important items, is your handy MSX computer. Now, with your trusty whip, journey into the ruins of La Mulana. Getting the horn from outside the ruins will let you know when you’ve solved a puzzle – more helpful than you might think, since a puzzle on one screen might change something multiple screens away. Starting advice – first things first, get money to get the Game Master cartridge, to be able to save your game at the village elder, and a hand scanner. Break pots on the surface to find some money, but the money in those pots doesn’t respawn – and it’ll take too long to get money from the enemies – it’s best to head into the ruins once you’ve gotten all the money available on the surface. Money and items in pots inside the ruins will respawn when you load your saved game, and each pot always has the same thing in it, be it money, weights, or weapon ammo. The Glyph Reader is important to get as well.